Now available in our DFW-Showroom is this 1957 Ford Thunderbird. For 1957, the Ford Thunderbird underwent some visual changes. Most notably, the front bumper was reconfigured, removing the large chrome nacelles, and adding fog lights to the corners. This opened the grille visually, and made it seem more like the luxurious boulevard cruiser that it was. The â€œThunderbirdâ€ inscription was moved from the rear quarter to ahead of the front quarter panel vent. Out back, the spare tire was moved back into the trunk, and the rear fascia was revised. The fins were thinned out and more pronounced, and the rear bumper featured a new design. At the corners of the bumper, the once-subtle exhaust outlets were replaced with wider integrated outlets. This Thunderbird was purchased by the current owner 18 years ago, in a small Texas city. Since purchasing the owner has done some work to update and keep this ride on the road. In 2007 he replaced: Shocks, U-Joints, Seals, Motor Mounts, Leaf Springs, Bushings, Ball joints, Coils, Steering pump, and Brakes. In 2013 he replaced: Fuel tank, Fuel pump, Hoses and rebuilt the Carburetor. This Thunderbird is powered by a healthy sounding 312 Y-Block V-8 motor and is connected to a 3-Speed automatic transmission. Other options include: A/C-colonial white/black & white vinyl, power seats, power steering, wide white wall radial tires, and wire wheels. Some new owner will enjoy taking this Thunderbird out cruising soonâ€¦ will that be you? To view this vehicle in greater detail including HD pictures and videos, visit www.GatewayClassicCars.com. For additional information on this 1957 Ford Thunderbird, email us at: dallas@gatewayclassiccars.com or call 817-310-9400. Now available in our DFW-Showroom is this elegant 1961 Ford Galaxie-Sunliner! The 1961 Galaxie was reskinned from the glass house down and lost the distinct look of the 1960 cars. ’61s had mini-fins and signature round Ford taillights. Ford also outsold rival Chevy in ’61; perhaps offering up to 401hp from the factory helped, as people started to once again think in terms of “performance.” The new FE 390 engine was just the ticket. That’s exactly what this one comes with, a 6.4 L – FE 390 and 3-speed on the column. In order for it to be a Sunliner, you must be able to feel the sun and that can easily be done with a flick of switch and power-top option. Another great attribute to these vehicles is just the overall space! Whether trying to take your significant other out for a night on the town or the entire family down to your local burger and malt shop, this vehicle is well suited for either. Careful with the malts& shakes though, as you wouldn’t want to damage any of the beautiful red and white candy cane interior, which is in very good shape throughout. Plenty of eye candy on this sweet ride, but some of my favorite parts without question is the iconic round Ford taillights. To me, they look like “rocket boosters” waiting to ignite and light up the road. If you’re ready to light up the road and have a few necks break as you drive by, then give us a call. To view the 1961 Ford Galaxie-Sunliner in greater detail, including 100+ HD photos and HD video, please visit www.gatewayclassiccars.com. For more information please call the Dallas Fort Worth Showroom at 817-310-9400 or email at: dallas@gatewayclassiccars.com. Gateway Classic Cars of Houston is proud to offer this beautiful and family friendly 1957 Chevrolet Bel-Air with 4 doors for convenience. This car is powered by a numbers matching 283 CID V8 engine that is connected to a 2-speed Powerglide automatic transmission, which is a combo that provides both impressive performance and great road manors. The exterior of the car is done in Colonial Cream and was repainted a number of years ago. You will stay cool driving this gem around with the air conditioning system that this car has! Inside you will find an AM/FM radio with CD player with remote, seat belts to keep you safe and a gorgeous tri-color cloth/vinyl interior. This car has fantastic power steering that really adds to the overall driving pleasure and makes it super easy to maneuver. The car has radial white wall tires and period correct hub caps that really make this car look and feel like it should. If you look at the odometer you will notice that this car has only covered 1293 miles per year since it was first produced 60 years ago (77,631 miles). The 1957 Bel Air is among the most recognizable American cars of all time; well-maintained examples are highly sought after by collectors and enthusiasts. They are roomy, with tastefully restrained, period use tail fins and chrome. This car will not last long, especially at this price. Don’t wait until it’s gone. Call the Houston showroom at (832) 243-6220 for more information on this vehicle. If you are viewing this on a 3rd party website then you will be able to find more pictures and an HD video by visiting www.gatewayclassiccars.com, or using this direct link: http://www.gatewayclassiccars.com/HOU/699/1957-Chevrolet-Bel-Air. Our showroom is open to the public and you are able to visit us 9-5 Mon-Sat at 1910 Cypress Station Dr #200, Houston, TX 77090. 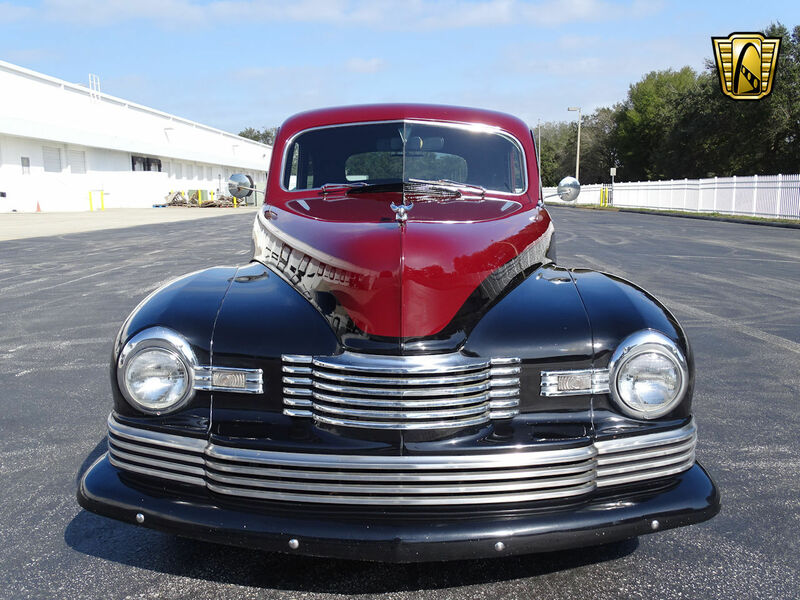 This super cool 1939 Ford Coupe is for sale in our Louisville Showroom. The Hot Rodding culture explodes after WWII ended. Serviceman returned home and factories which supported the war effort were resuming their normal activities. Older vehicles that survived were now being refurbished into something that reflected more of the Individual’s personality. In some cases, it consisted of a wild pant job, sometimes an upgrade to the interior, maybe the body was altered with a chopped top or a hot new engine replaced the factory original in order to gain more performance. In many cases, all these things happened for a truly one of a kind vehicle. This ’39 Ford Coupe fits this description well. With a Chopped top, a lowered stance, chrome bumpers removed and flush mounted door handles, this old hot now has a much sleeker look. The body has been painted in a deep gloss black that accents the curves of this beautiful body. Pin Striping has been kept to a minimum, but check out the trim molding. Yup, it’s a painted graphic, and it looks pretty neat. The interior was redone in leather a while back, giving the inside a nice cozy feel when driving or riding along for Cruise Night. The ’39 Coupe has AC (some service will be needed), so cruising on a Hot Summer night you can keep cool, while looking cool. Many times when the engine is replaced with a more modern powerful unit, the brand is changed due to cost and availability of speed parts. Typically old Ford Hot Rods tend to have Chevrolet engines for this very reason. If you are a true Die Hard Blue Oval fan, then you’ll be pleasantly surprised a 351W Ford V8 under the hood. 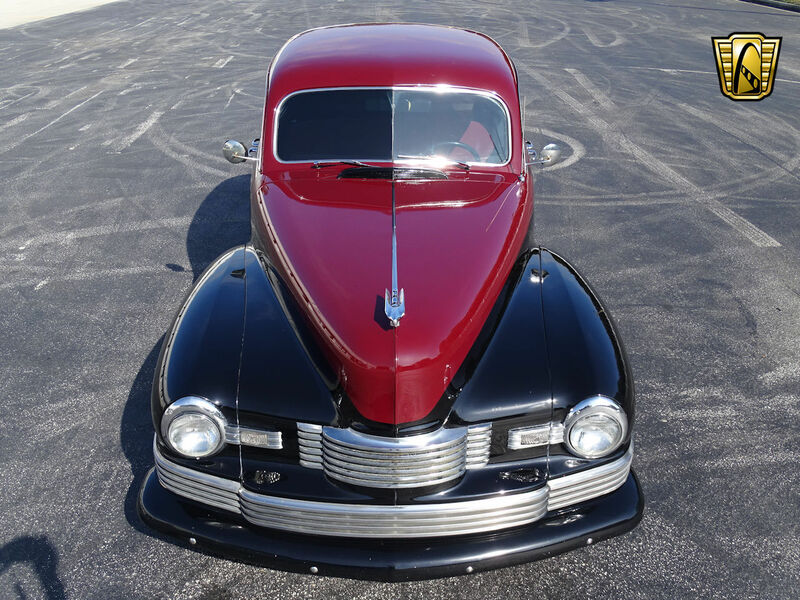 With only 2186 miles on this ’39 Ford’s current configuration, there will be plenty of memories to still be made. Options for this 1939 Ford Coupe include; Air Conditioning, Cruise Control, Power Brakes, Power Steering, Power Seats, Power Windows, Tilt Steering Wheel and Steel Wheels with Hub Caps wrapped in radial tires. 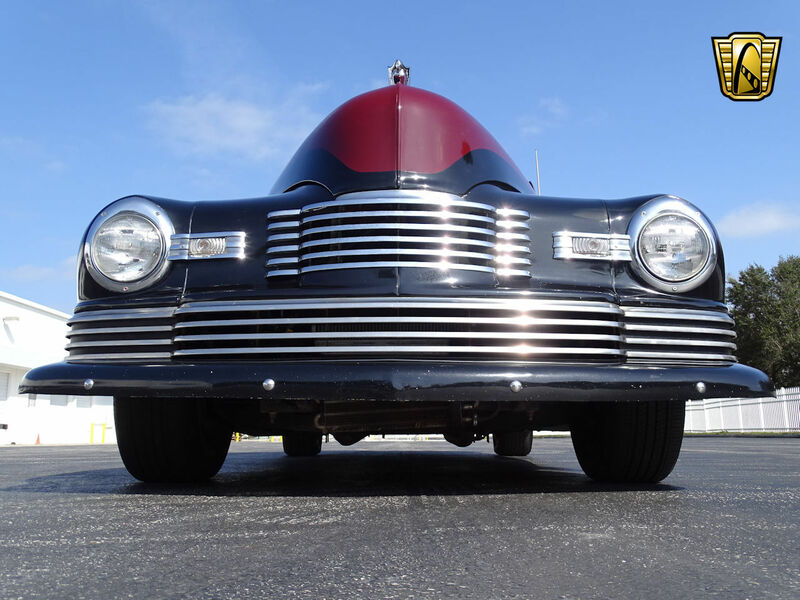 This 1939 Ford Coupe can be seen, including an HD video, at www.gatewayclassiccars.com, call at 812-294-1555 or email Louisville@gatewayclassiccars.com for more information. Now up for sale in our Houston showroom this very clean 1971 Chevrolet Nova with only 52669 actual miles!! The Chevy Nova line started in 1966 and was instantly well received by the American public and are all still very desired today. This gem is in triple green exterior paint with green vinyl interior in which both are in excellent condition. Powering this Nova is a 350 CID V8 that sounds awesome out of the performance long tube headers that lead out to the dual exhaust. Paired to the 350 V8 is a TH400 3-speed automatic transmission that leads into a posi rear end containing 3:73 gears. The engine & transmission were both rebuilt less than 2500 miles ago and run beautifully. The exterior, interior, undercarriage, engine bay, & trunk are all rust free. All electrical components are this car work as they should. This car is an example of what they looked like originally back in 1971. If you are looking for a very clean and time period correct car than you have found it. The car also features traction bars added to the rear for extra stability. Other features on the car include, AM radio, power steering, vinyl interior, a performance Holley carburetor, & the original color matched hub caps. For more information on this ’71 Chevy Nova, contact our Houston showroom at (832) 243-6220, or email us at Houston@GatewayClassicCars.com. To see more HD photos and an HD video of the vehicle running and driving, visit www.GatewayClassicCars.com; or, come see it in person at 71 Esplanade Blvd, Ste 100, Houston, TX 77060. Gateway Classic Cars of Atlanta is proud to offer this 1970 Oldsmobile Cutlass 442 Pace Car for sale. This Olds 442 for sale has the small block 350cid V-8 engine backed by an automatic transmission which shifts smoothly through all the gears. The exterior of this Oldsmobile is painted in white and is accented with all the pace car decals making this a head turner for sure. Once you step inside of this Cutlass you will sit comfortably on the black vinyl front and rear bench seats. So, get all your friends or the family and enjoy a nice cruise with the top down and tunes blasting while you drive down to your local car show or simply to spend a day at the beach. Options on this 1970 Oldsmobile Cutlass 442 Convertible are: A/C, AM/FM radio, Auto Convertible top, power steering, tilt wheel, vinyl interior and aluminum/alloy wheels wrapped in raised white letter radial tires. If you are looking for an old muscle car that is a convertible as well and wonâ€™t break the bank, you need look no further as this is the vehicle for you! To view this car in greater detail, including 100+ HD Photos and HD Video, please visit www.gatewayclassiccars.com. For more information, please call the Atlanta showroom at 678-894-4833 or email us at Atlanta@GatewayClassicCars.com. For sale in our Nashville Tennessee showroom is a hot to trot 2003 Ford Mustang SVT Cobra! This beast is one of the rarest of the rare, one of the last cars built in Fords epic Dearborn, Michigan plant. With just over 5,000 coupes produced, theyre highly sought after. To make things even rarer with this 2003 Ford mustang Terminator Cobra for sale, this particular pony sports a Sinister Black Clearcoat paint scheme. This 2003 Ford Mustang Terminator is one of the SVT teams high horse powered pride and joy toys, making it more like a Unicorn than a Mustang! Powering this proud pony is none other than a supercharged 32 -valve 4.6-liter DOHC V8 engine. Putting out an under-estimated 390 horsepower from the factory, this stallion begged for go-fast goodies form the factory and responded well to tunes and performance add-ons. Sporting a stout dual exhaust system with a deep rump and burble, its easy to tell that this is a real modern-day muscle car! Backed by a quick shifting 6-speed manual transmission, this car is a blast to run through the gears! The power is stuck to the ground via an independent rear end, surrounded by extra wide aluminum/alloy wheels wrapped in radial tires. Built for more than winning in a straight-line competition, this 03 Cobra for sale is ready to straighten the curves and flatten the hills! The exterior is gorgeous, in the factory Black paint it gives you the stealth and sleek look as well. With black accents, including black aluminum wheels, this car has a classic vibe with a modern stance. Leveled 1, this car is mean and lean! The interior is sporty, yet comfy with Charcoal leather seats with suede inserts. Sport buckets up front with a bench out back, this car is ready for you and a few of your closest friends and family. Options on this Ford Mustang for sale, include: A/C, AM/FM radio, CD player, cruise control, power brakes, power steering, power locks, power seats, traction control, keyless entry seat belts, driver and passenger airbags, anti-theft system, and aluminum/alloy wheels with radial tires. Whether youre a Ford lover, a fan of boost, or simply want the modern amenities mixed with classic car muscle, this Mustang Cobra for sale is for you! For more information please call the Nashville showroom at 615-213-1800 or e-mail us at Nashville@GatewayClassicCars.com. Gateway Classic Cars of Atlanta is proud to offer this beautiful 2003 Chevrolet Corvette. Introduced in 1997, the C5 generation Corvette was a radical styling departure from the angular C4s. In addition to looking more contemporary, the C5 featured General Motors latest technology including drive-by-wire throttle, variable-effort steering and optional magnetic selective ride control suspension. With an LS1 5.7l V8 with 350 horsepower and lightweight composite bodywork the C5 offered performance on par with a 0-60 time of 4.5 seconds and a 13.3 second quarter mile. This 2003 Corvette is a two-owner car with just 6,308 actual miles on the odometer and has been pampered the entire time never even being taken out in the rain. What also makes these American super-car legends so interesting is that it can be driven everyday too because of that amazing 28-mpg highway rating! It is painted red with tan leather interior. Options on this 2003 Chevrolet Corvette Coupe for sale also include: A/C, AM/FM CD Stereo with Bose speakers, Cruise Control, 6-way power seats with Lumbar Support, Power Brakes, Power Steering, Power Locks, Power Windows, Traction Control, Keyless Entry, Driver/Passenger Airbags, Automatic Convertible Top, Anti-theft system and much more! To view this 2003 Chevrolet Corvette, please visit our site at www.GatewayClassicCars.com, call (678) 894-4833 or email us at Atlanta@GatewayClassicCars.com. To see this beautiful 2003 Chevrolet Corvette in person, stop by our showroom located at 1870 McFarland Road Suite 300, Alpharetta, GA 30005. Gateway Classic Cars of Atlanta is proud to present this stunning 1970 Chevrolet Monte Carlo. One look at this beauty and you are instantly mesmerized by the gorgeous Champagne Gold paint that looks great along with the awesome lines of a 70 Monte Carlo. Talk about a lot of work and attention to details. From the ground, up every detail has been given to the appearance as well as mechanics of this beauty. The 402 has been bored .30 over and sounds fantastic. This car drives as nice as it looks and also had a new front suspension and new Eden rear differential with posi-traction, 3:90 Gears and 4-wheel disc brakes. The turbo 350 transmission shifts on point and helps this car cruise at highway speed without hesitation. The interior of this beauty matches the exterior well with Gold Cloth and vinyl bucket seats and center console with horseshoe shifter. This one is going to impress even the most meticulous of collector or is perfect for that enthusiast who appreciates all of the work already being done. Options include: Alloy Wheels, AM/FM Radio, Power Brakes, Power Steering and alluminum/alloy wheels wrapped in radial tires. To view this 1970 Chevrolet Monte Carlo, please visit our site at www.GatewayClassicCars.com, call (678) 894-4833 or email us at Atlanta@GatewayClassicCars.com. To see this beautiful 1970 Chevrolet Monte Carlo in person, stop by our showroom located at 1870 McFarland Road Suite 300, Alpharetta, GA 30005. This rare 1930 Ford Model A Phaeton has been completely restored and is ready to be loved and enjoyed by a new owner! From 2005-2006 this Model A underwent a complete restoration where it was completely disassembled and piece by piece refinished and brought back to the way it looked 90 years ago. Once the body was completely disassembled, the paint was stripped off and refinished with enamel paint and was coated with a clear coat and hardener for a shiny finish. Each fastener was sand blasted and refinished, and both front and rear bumpers were replaced with stainless steel pieces. The engine was also completely rebuilt at the time where it was converted to a 12-volt electrical system for added reliability and the points and condensers were changed for an electronic ignition. After the 4-cylinder engine had been overhauled, the transmission had all new bearings put in it and was outfitted with a lightened flywheel and overdrive! The rear axle also received a similar treatment with a new ring and pinion 3.78 gears put in and all bearings and seals replaced with new equipment. The braking system and steering system was also gone through to round off the build of this car nicely. Riding around in this car is a whole lot of fun and is such a unique experience. The open riding position gives you a much more personal feel with your drive and the cruise is set at a completely different pace than something more modern and can easily be fitted with the side curtains for a more comfortable ride. The 16 wire wheels from a later Model A dramatically improve the ride quality from original while still keeping an original look. This Ford Model A is perfect for someone looking for an antique car that they can take down the road on warm sunny days to a car show or the gas station and is sure to gain a lot of attention no matter where it goes! This vehicle is located in our Denver showroom. You can view this 1930 Ford Model A in greater detail including HD pictures and an HD video of it running and driving at Gatewayclassiccars.com. If you are interested in purchasing this vehicle or have more questions regarding it please call us at (303) 872-4722 or email us at Denver@gatewayclassiccars.com. 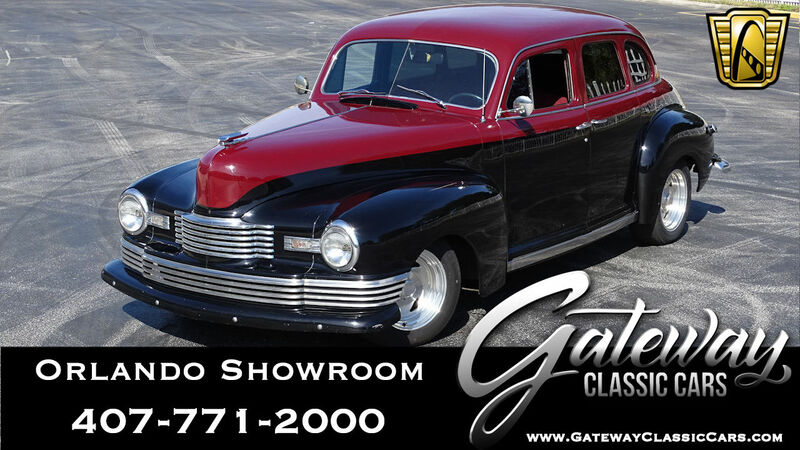 Gateway Classic Cars of Atlanta is proud to present this 1948 Plymouth Special Deluxe. The Plymouth Deluxe was produced from 1946 to 1950, with the top trim line being the Special Deluxe model. The first post war Plymouth Deluxe rolled off the assembly line on October 22, 1945, at the dealership people arrived in droves to get their name on the list for a brand new car. Plymouth literature claimed there were 50 updates on their post-war model that improved upon the pre-war model. From 1946-48 Plymouths tag line during this post-war era was Outside and in, its a completely new Plymouth. Compare it feature for feature. Sit in it. Ride in it. Drive it. Then youll surely agree. This particular survivor was given a thorough a frame up restoration, and still shows very well. During the updates she was inserted with a 302 Ford V-8 mated to a C-4 automatic transmission. The paint is a nice burgundy, with a grey tweed cloth bench seat interior. The restoration wasnt complete until the update of adding a tilt wheel, power steering, and power windows. They followed the interior theme into the trunk area as well, keeping with uniformity. She was finished off with a set of chrome spoke wheels, and radial tires. 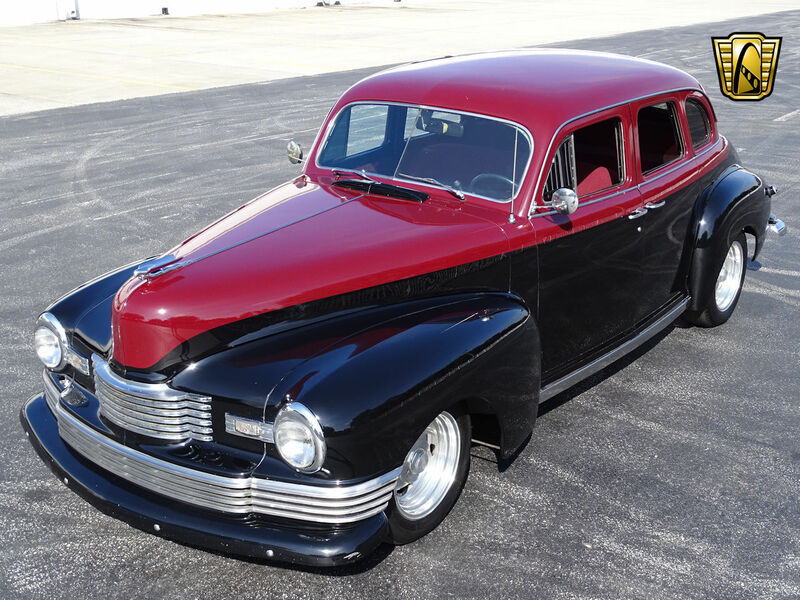 This car cruises down the road with the best of them, and represents an era for Chrysler where they put function before style. 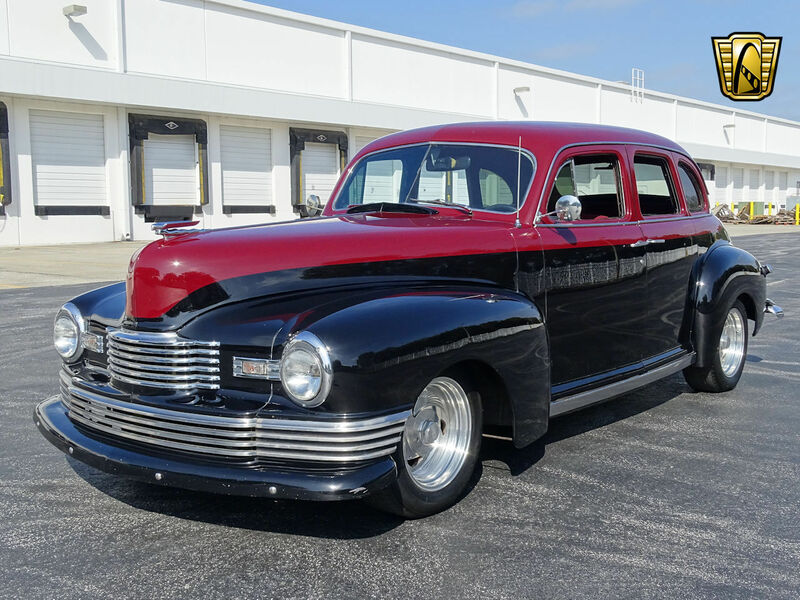 This 1948 Plymouth Special Deluxe for sale is in our Atlanta Showroom and can be seen in greater detail including an HD video at www.GatewayClassicCars.com. Please call our knowledgeable staff at (678) 894 -4833 or email us at Atlanta@GatewayClassicCars.com for additional information.